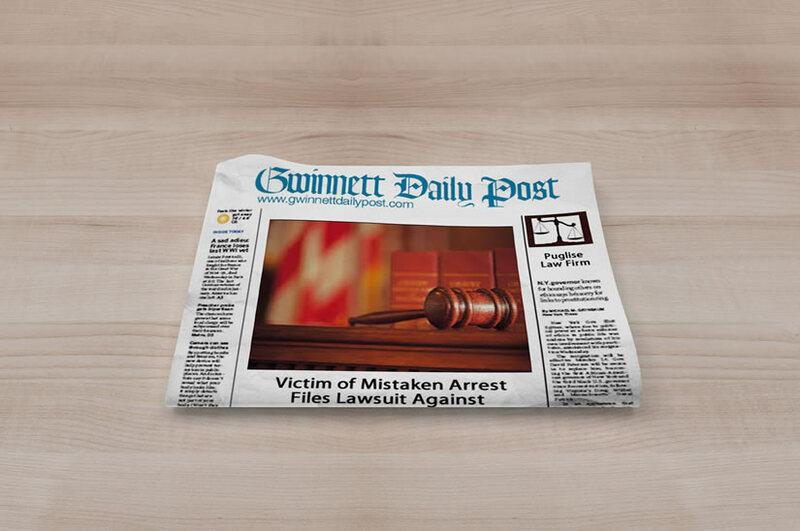 A Buford man arrested and jailed for two days in a case of mistaken identity isseeking $6 million in compensation from the police department which issued the warrant against him. Joey Wilson was arrested in December by Gwinnett police who were acting on warrant information from the Roxboro, N.C., police department. On Friday, Wilson’s attorney, Mike Puglise, sent a letter to the Roxboro Police Department demanding $6 million for general, compensatory and punitive damages. In his letter, Puglise accuses the Roxboro police of “willfully, intentionally and without probable cause fraudulently” obtaining a warrant. After Wilson’s incarceration, the district attorney in Roxboro dismissed the charges stating there were not enough indetifiers on the warrant. “These malicious acts have caused Mr. Wilson to be wrongfully accused of a crime, his character defamed, falsely arrested and seized in metal handcuffs in front of his family including his 4-year-old son, paraded in front of his neighbors and friends and held in a steel cage for over two days ina Gwinnett County, Georgia, jail. Mr. Wilson, who has never been arrested in his life, was held without bond awaiting to be extradited to North Carolina for a crime that he did not commit,” the letter stated. Wilson said in an earlier interview he tried to be as cooperative as he could while attempting to explain he was not the same Joey Wilson. “I tried to get them to let me make phone calls. I tried to be as cooperative as I could be. I was hauled down there [ to jail]and I begged them to take my fingerprints and pictures,” said Wilson. Wilson, who has never been to Roxboro, said he was eventually placed in general population at the Gwinnett jail and had no bond. The Joey Wilson wanted in North Carolina had at one time lived in Roxboro, according to paperwork. The warrant was for aiding and abetting by obtaining property by a false pretense.